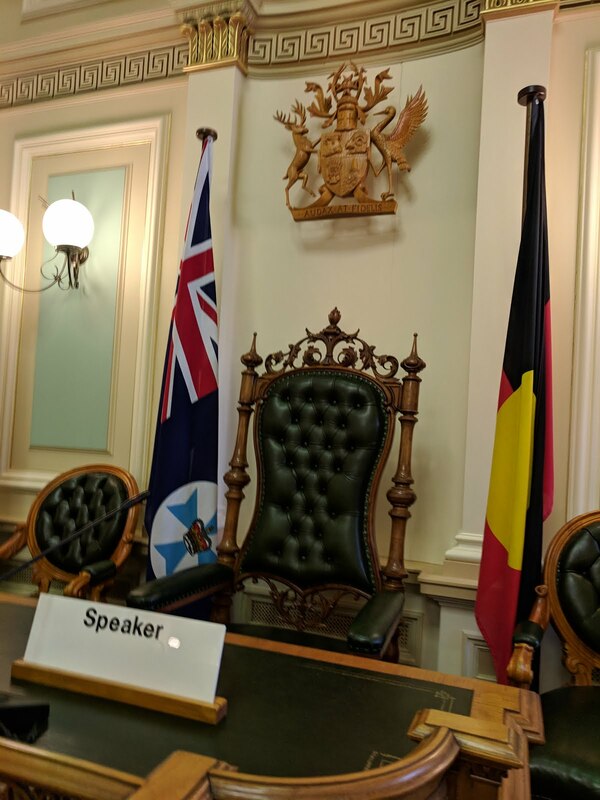 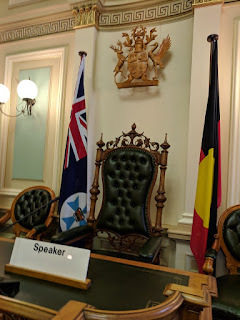 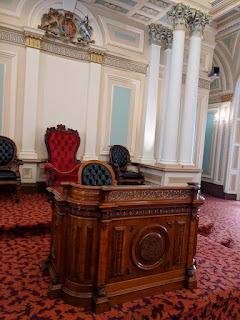 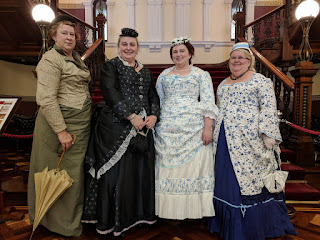 Last month I also attended the 150th Anniversary of Parliament House in Brisbane. 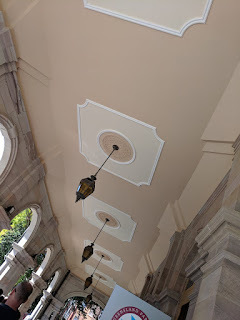 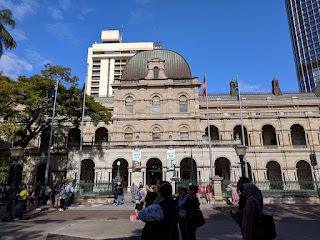 The day was marked with a celebration and tour of the original parliament building. Still in use today, the building is a beauty from its’ era. 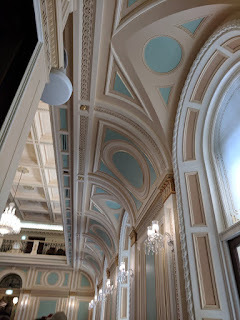 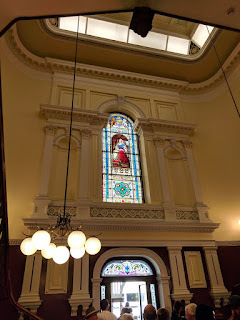 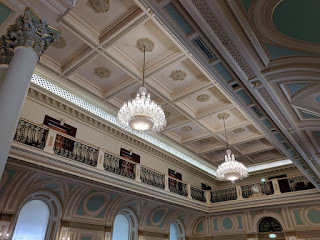 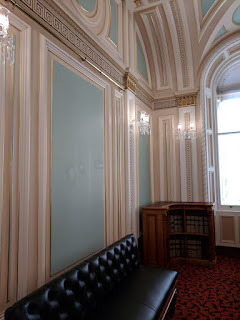 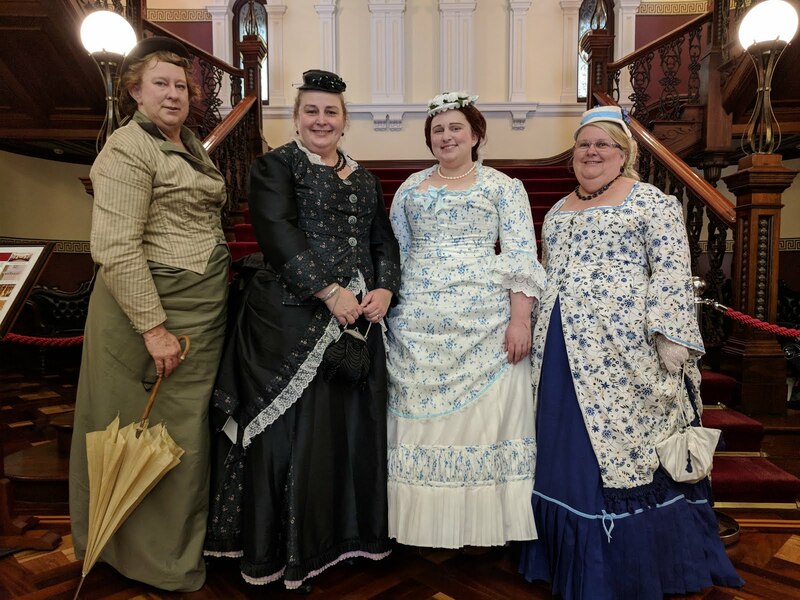 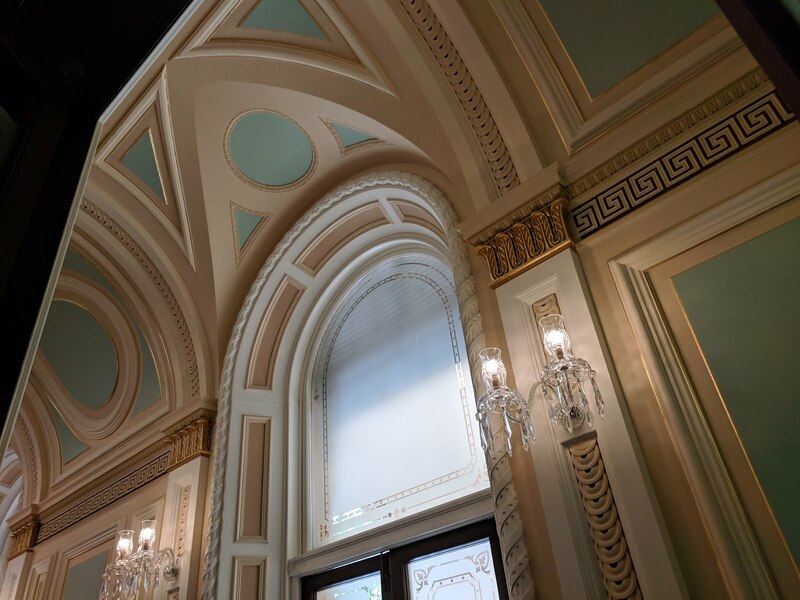 We were invited along by the organisers to provide a bit of ambiance to the event – wearing gowns which would have been worn when the building was originally opened. 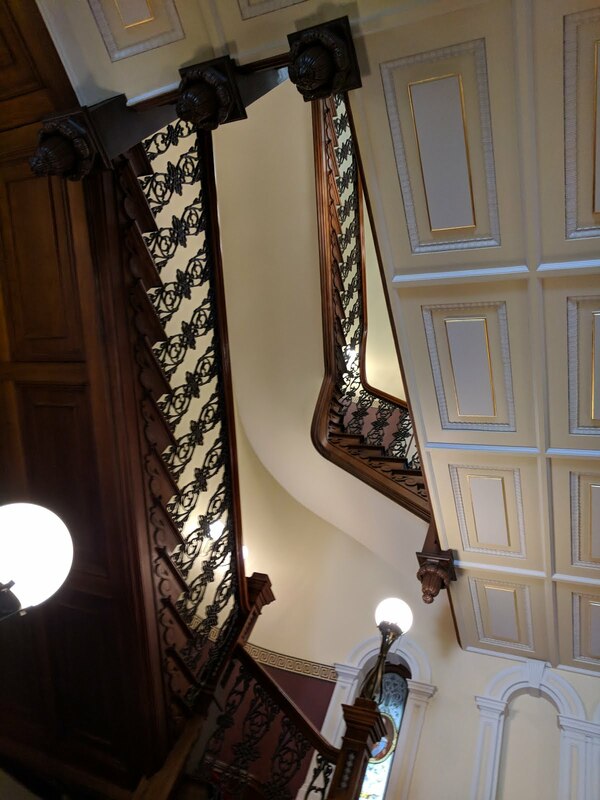 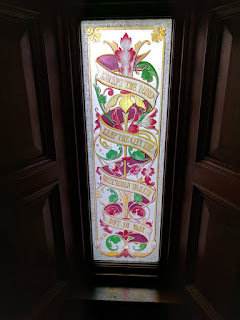 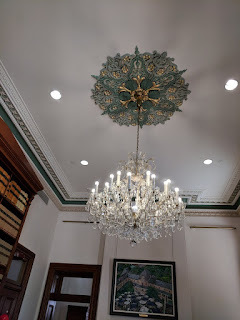 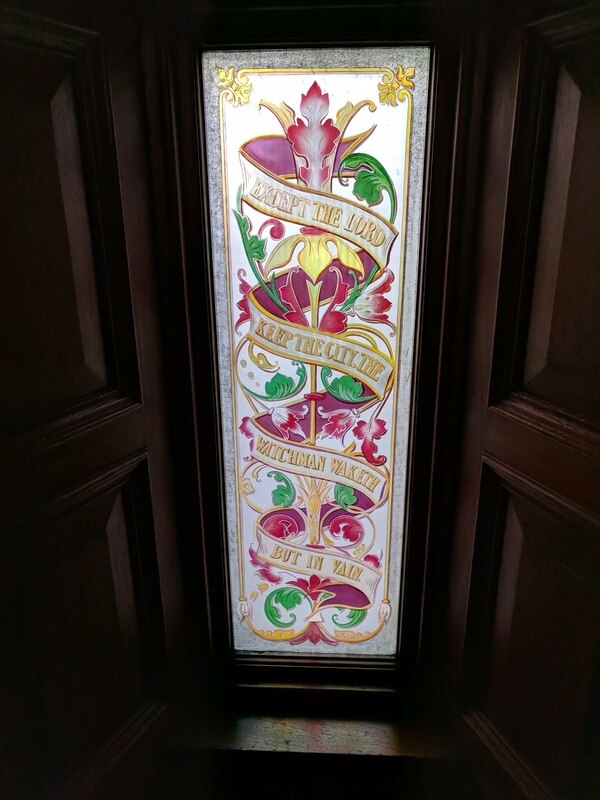 It is an incredibly beautiful building and I’m glad that I got the chance to see inside. It’s not normally open to the public so it was indeed a special occasion. 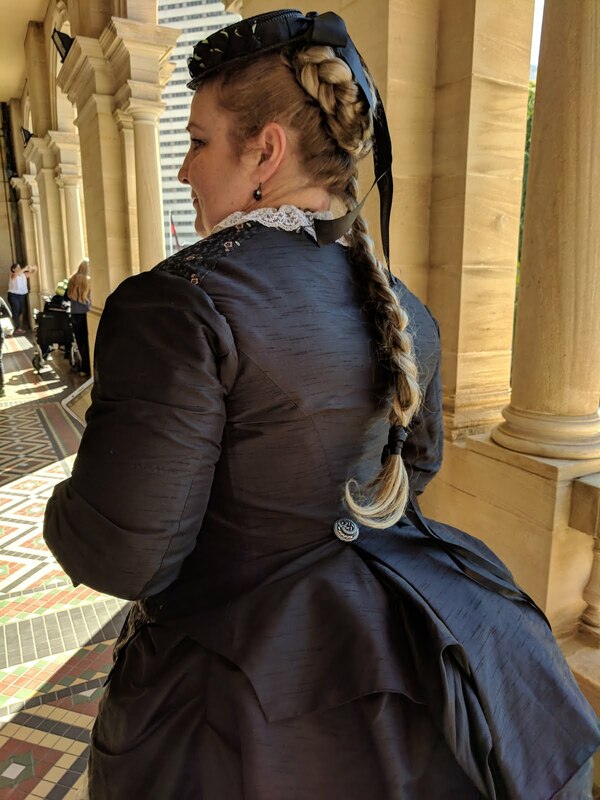 For the occasion, I wore my late 1860s Early Bustle. 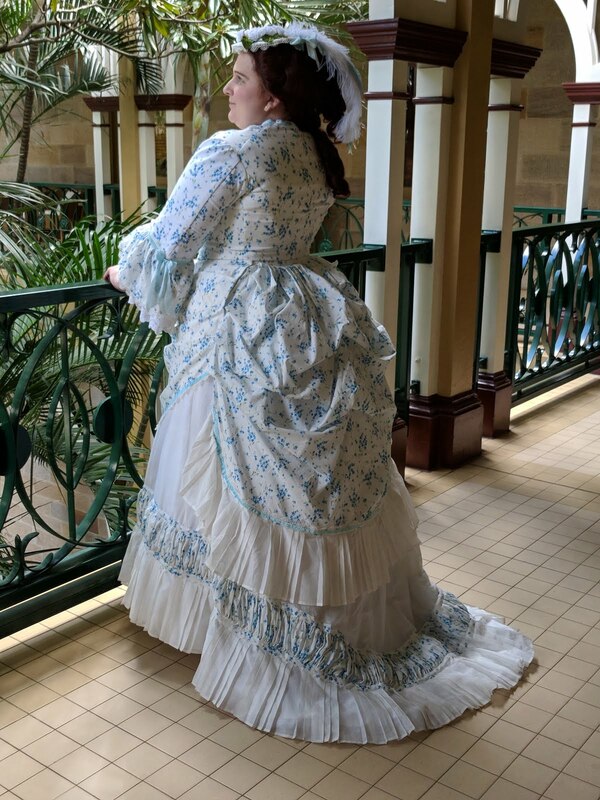 I made this gown a while back, but didn’t have many photos of myself in it (the occasion when I debuted it, I was two days out of wisdom teeth removal surgery and a puffy little chipmunk.) 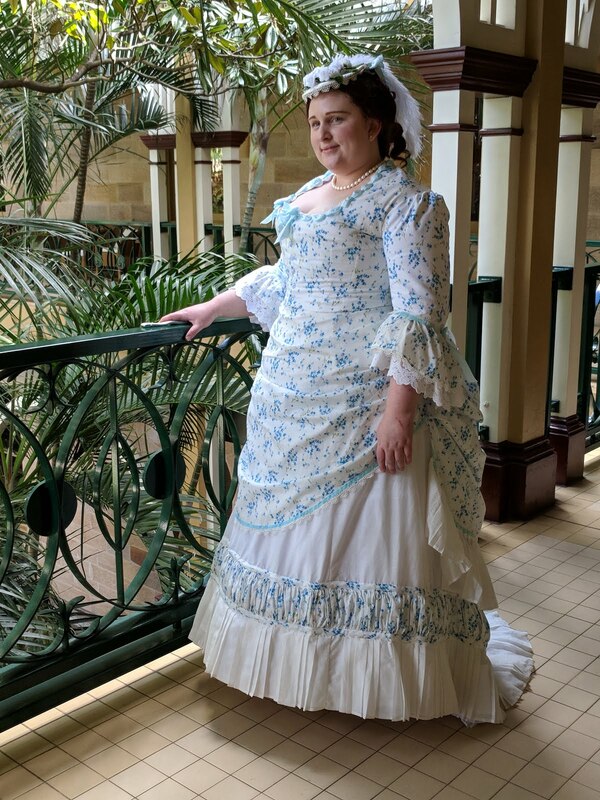 It was lovely to be able to wear the dress again and actually take photos this time. 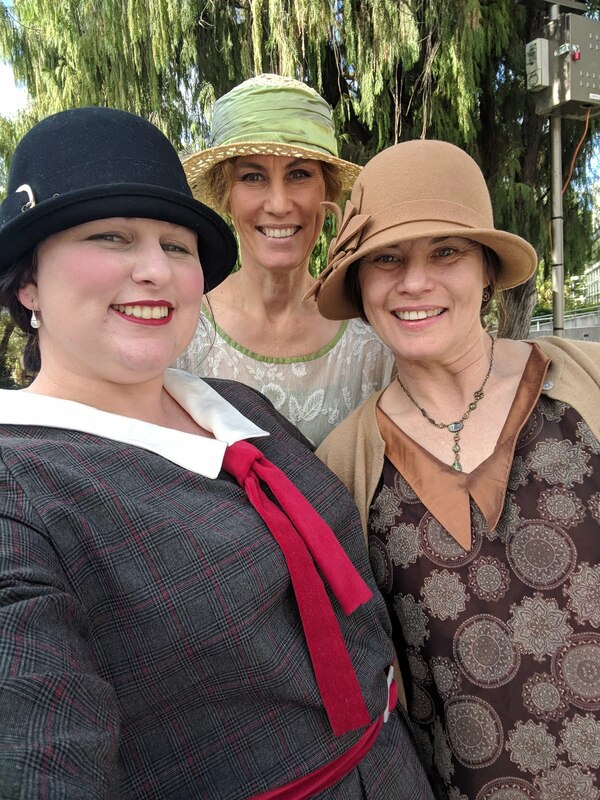 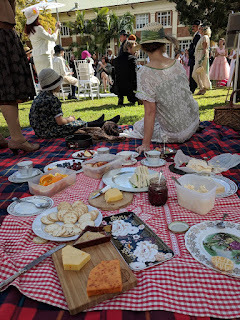 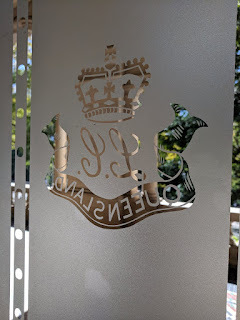 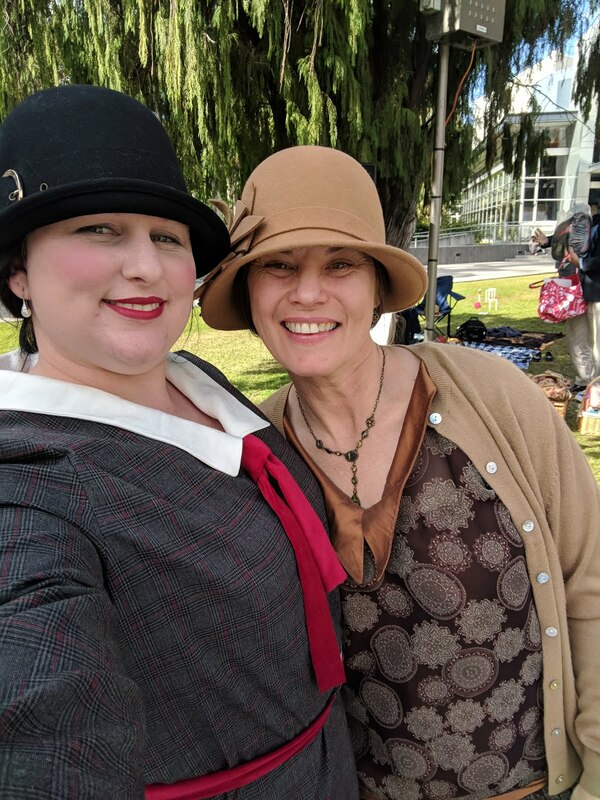 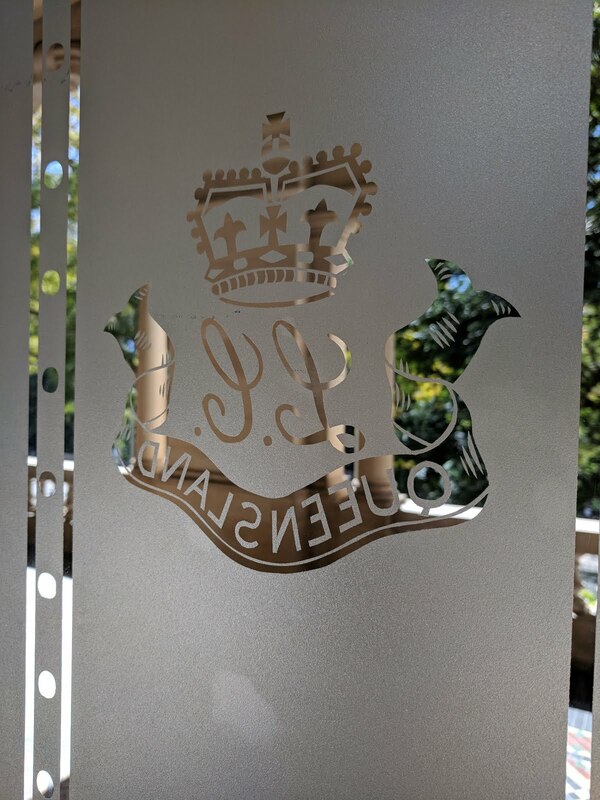 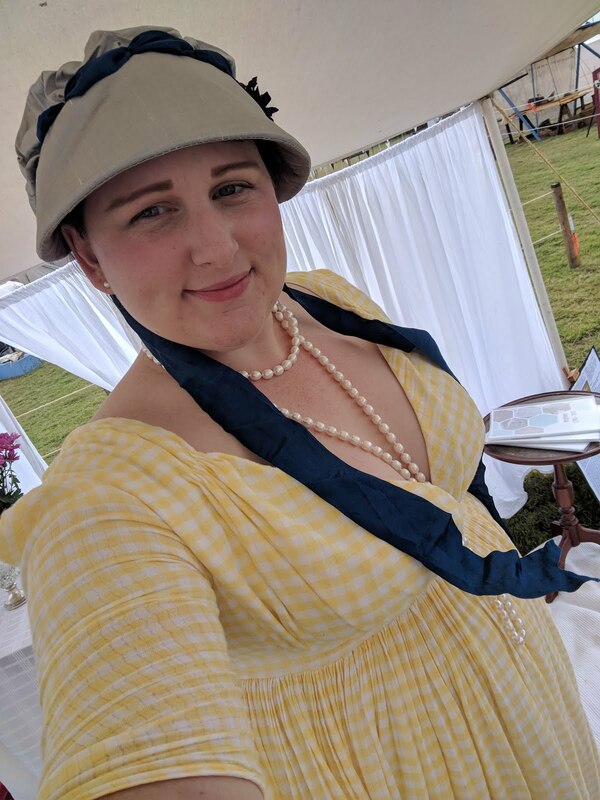 I haven’t managed to get out to many events this year, in cosplay or historical, but when I saw that Jazz Age Picnic was being held at old government house in Brisbane, I knew that I had to attend. 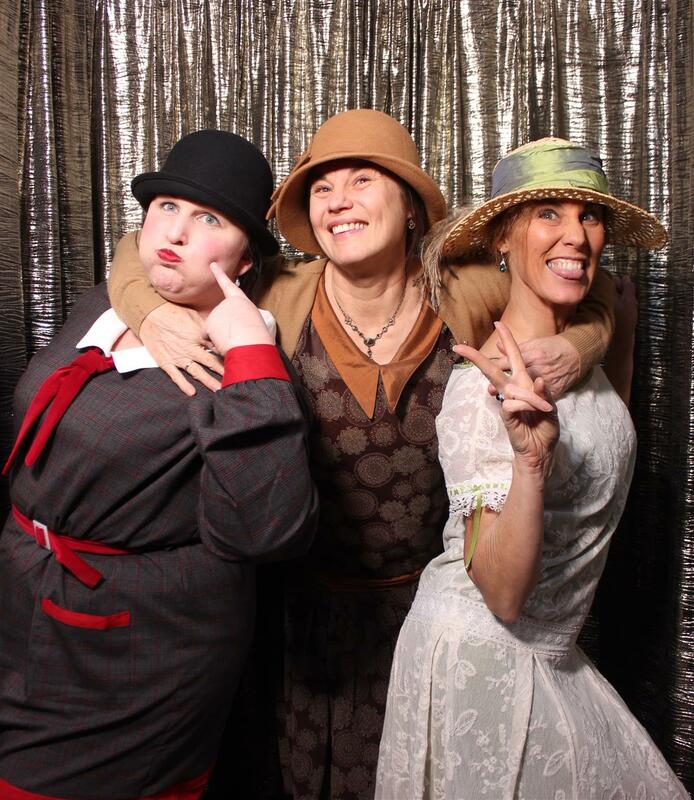 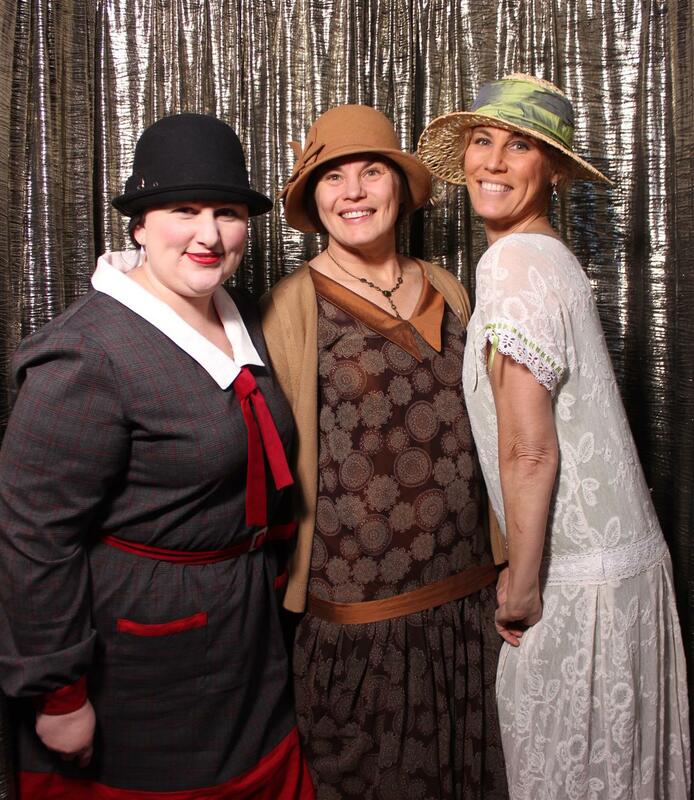 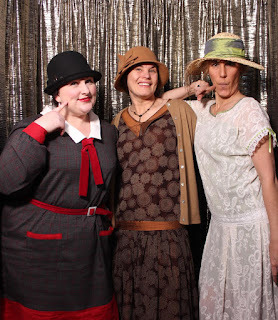 I gathered up my re-enactment group (and my mum) and we organised a venture out in our 1920s finery. 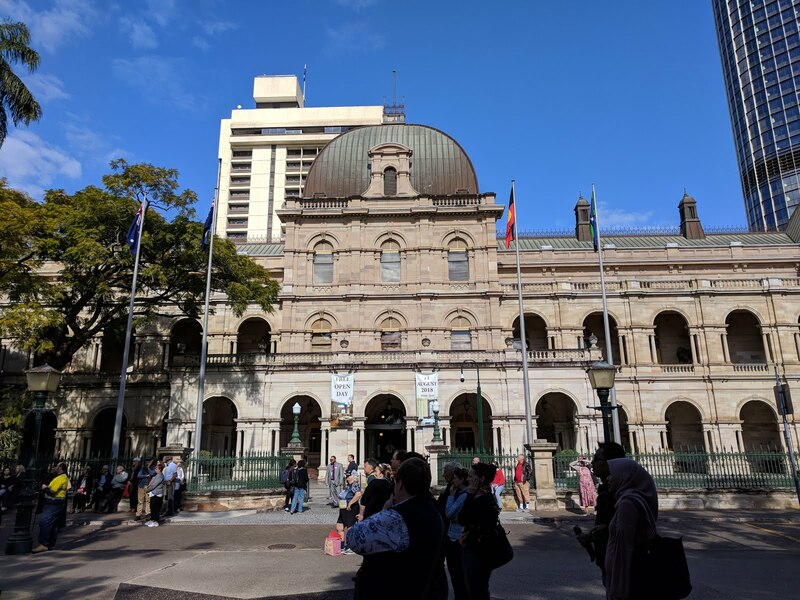 The day turned out to be beautifully sunny and warm (not strange for Brisbane winter). We all turned up and spread out our picnic rugs, laying out our sweets and savoury picnic treats and pulling out the teapot. I do somewhat regret dragging in my teapot – the next day my arms were very sore from lugging it from the car to the venue. 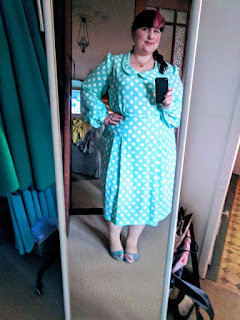 I had originally planned to wear something existing in my wardrobe, but as I was on two weeks of annual leave, I decided that I would whip up something new to wear. The Tuesday before the event, I was sorting through my fabric stash to find some fabric and browsing the internet for inspiration. I picked an original tartan dress to try and re-create. I drafted up the pattern, did a quick mock up and made some pattern changes before cutting out my fabrics. 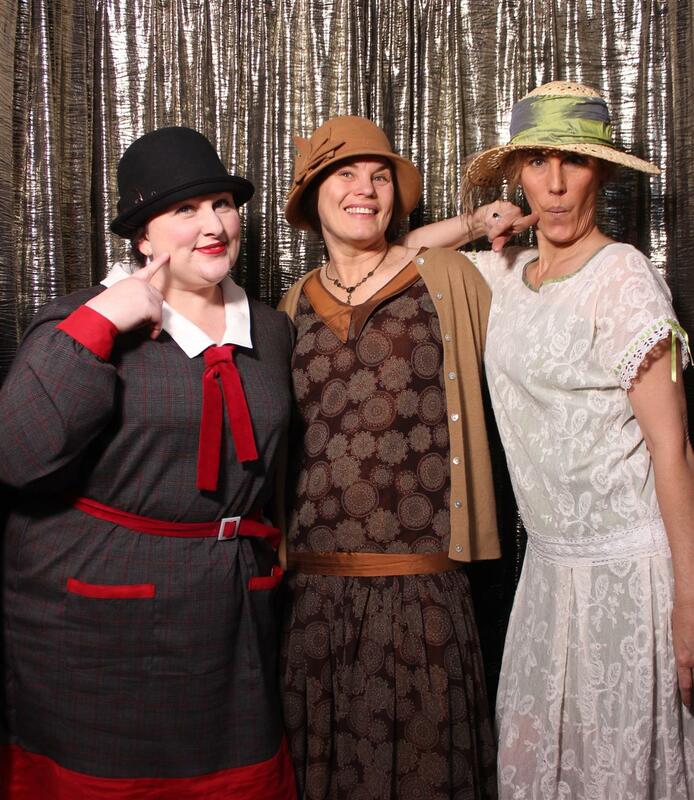 I thankfully had the perfect assortment of fabrics to get the look I wanted. 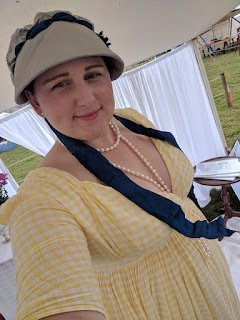 A day at the sewing machine, and couple evenings of hand-sewing and I had my outfit ready. It’s made of a wool blend grey plaid with a red stripe, and trimmed with red linen. 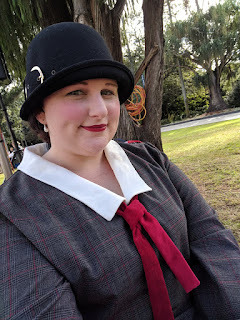 I added red velveteen trimmings in the form of a belt and necktie to finish off the look. 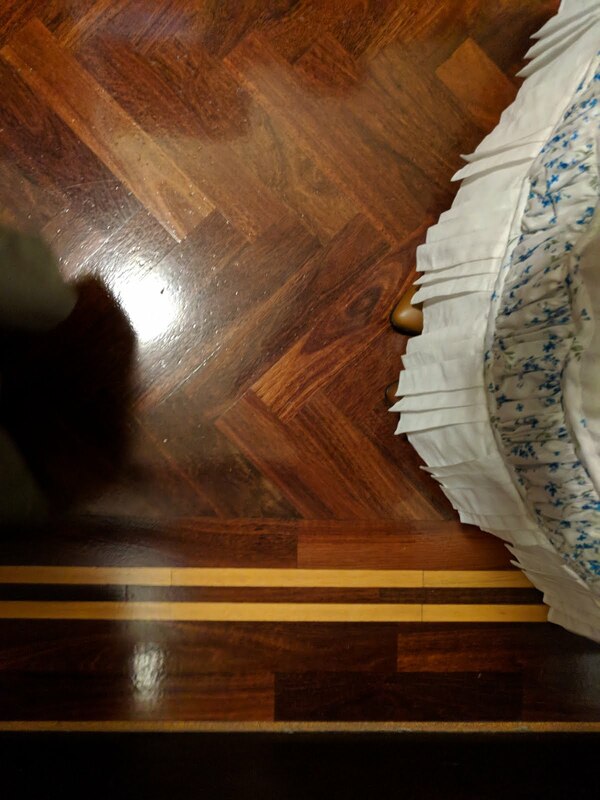 I love the masculine suit influence in the design which is so typical of the era. All in all it was a lovely event and I am glad that I made the effort to attend. 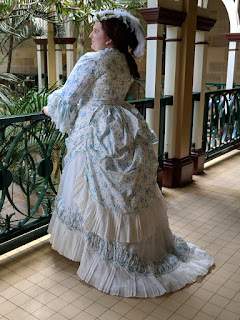 Come July, it was a pretty simple decision for who I was going to Disneybound. On my trip to Japan last year, I bounded as Princess Jasmine while I was at Tokyo Disney Sea. And for the occasion, I made a green long-sleeve 1940s style dress. 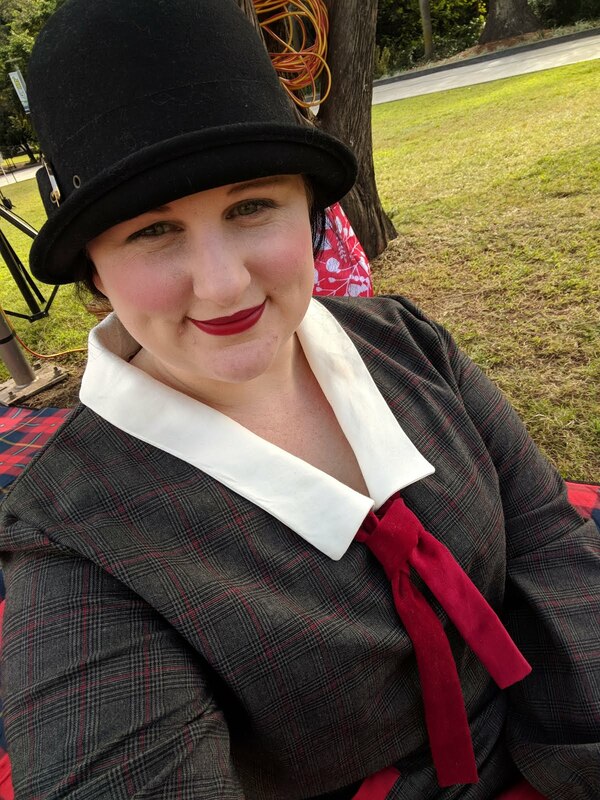 Given that it’s more of a winter outfit, I figured that July was the perfect opportunity to wear it again (unfortunately living in Brisbane, we have a pretty weak short winter). I paired up my dress with a Genie lamp necklace and theme earrings that I bought from Disneyland. 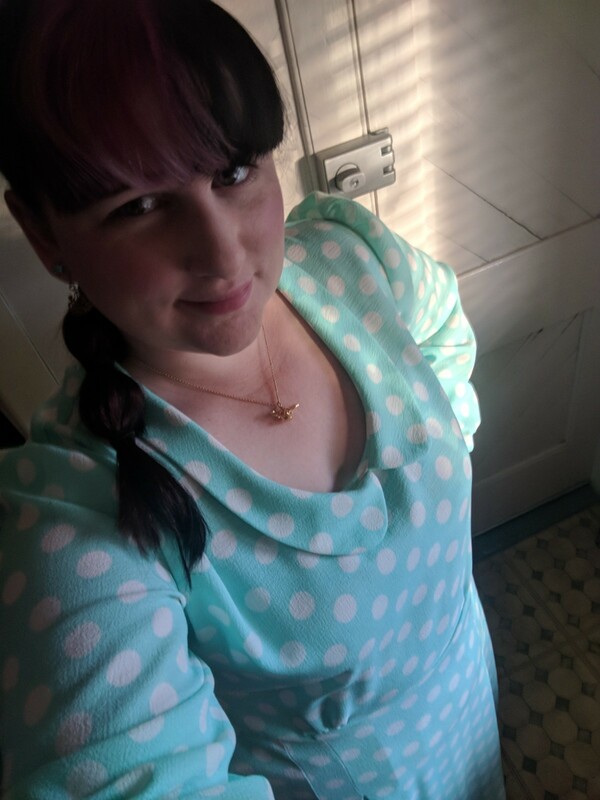 It’s a simple outfit, but effective and fun. 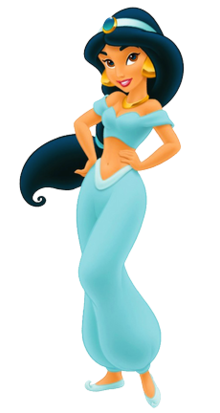 Jasmine is after all one of my all time favourite princesses. 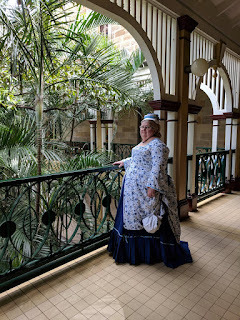 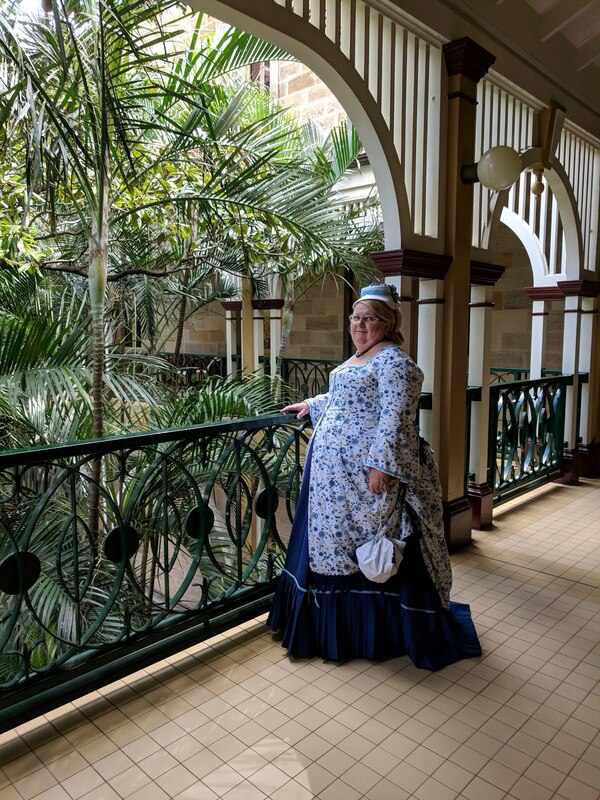 In the Queensland Re-Enactment World, June heralds the annual event History Alive. 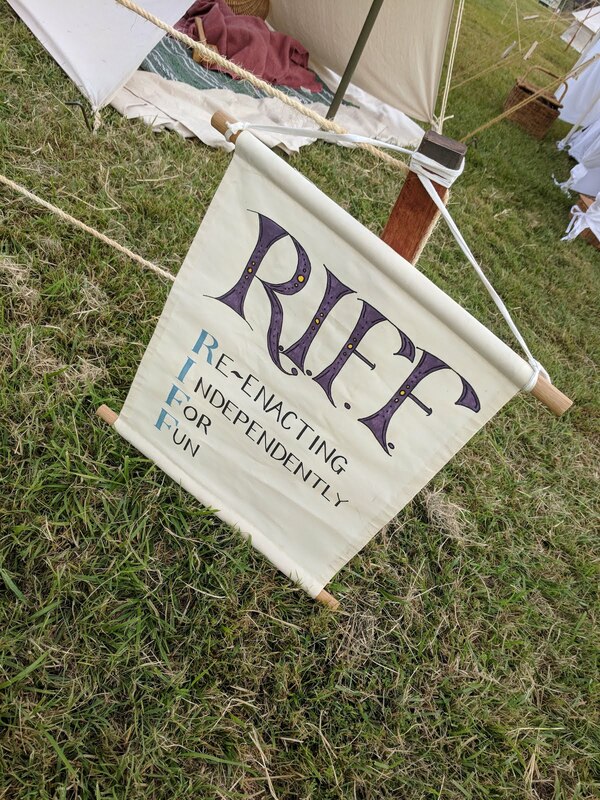 I have been attending for a number of years with my group RIFF (Re-enacting Independently For Fun) and this year was no different. 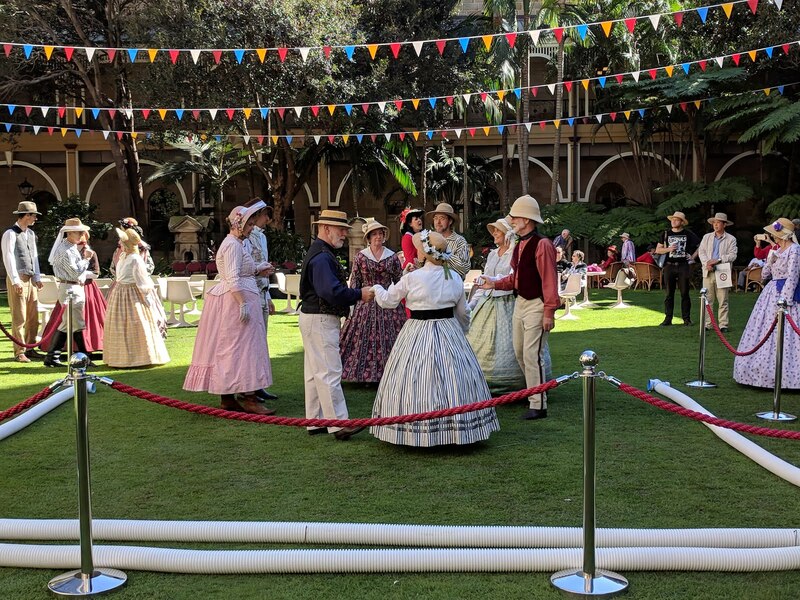 We play part of a massive two-day timeline event. 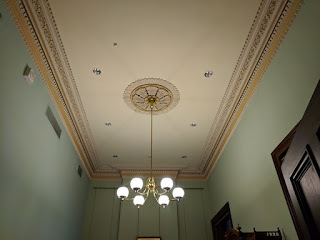 Our group is an open period group, so we can do any periods that we choose. 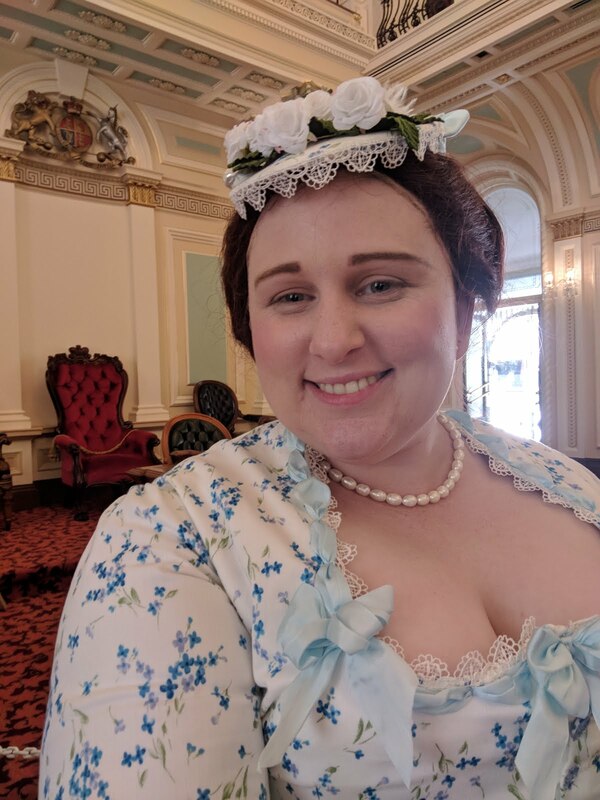 Our longest running period is Regency, and this year we again dug out our Regency kits to spend the Saturday of the event dressed in our 1800s finery. 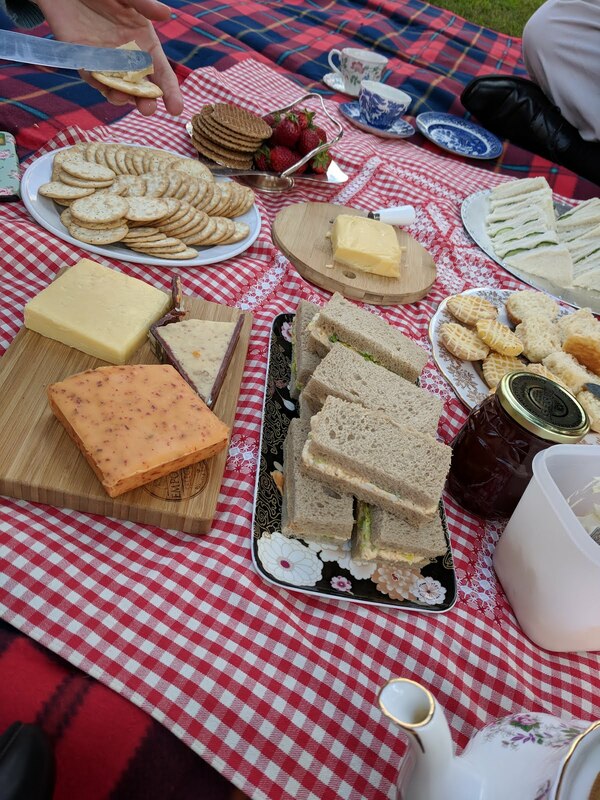 We pass the day with handcraft activities, card and letter games, picnic luncheon and picnic games. It’s a pretty relaxing way to spend the day and the weather was just beautiful for it. This time, I wore my Yellow Gingham Muslin transitional dress. 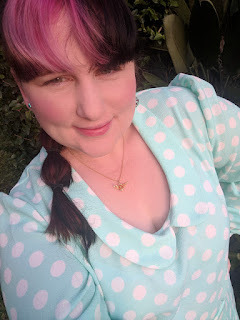 I’ve only worn this dress once previously so it was lovely to be out and about in it again. 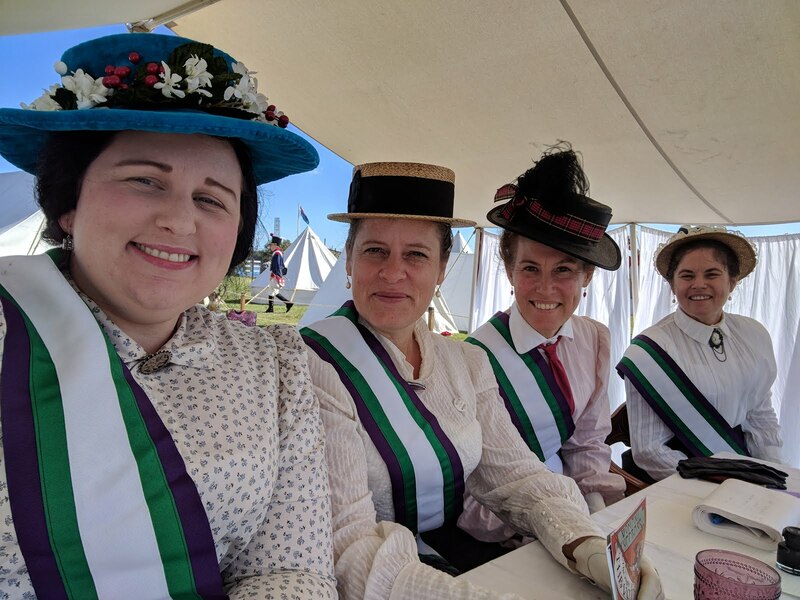 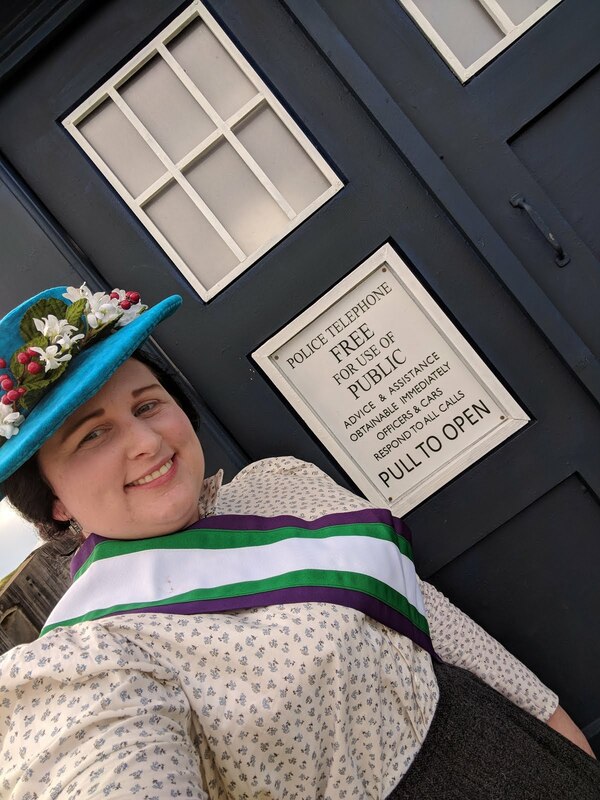 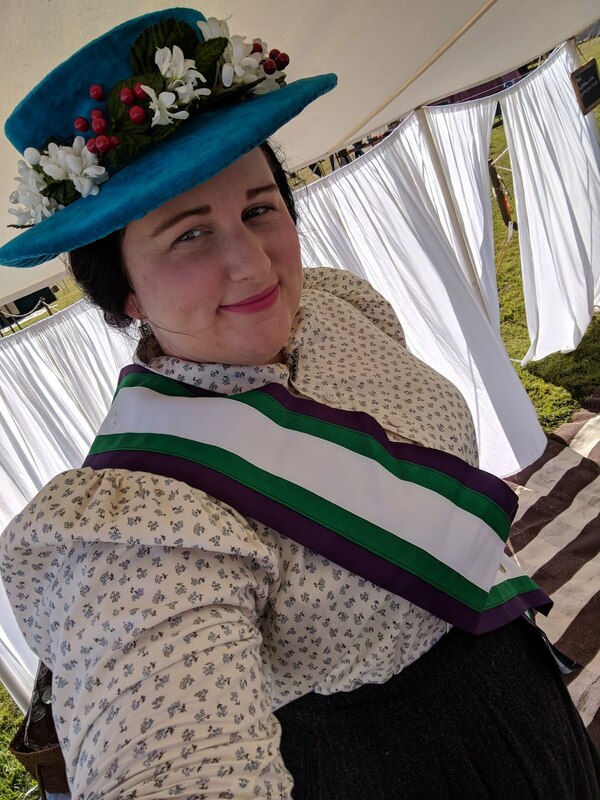 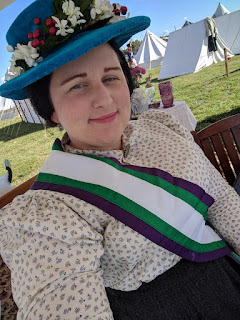 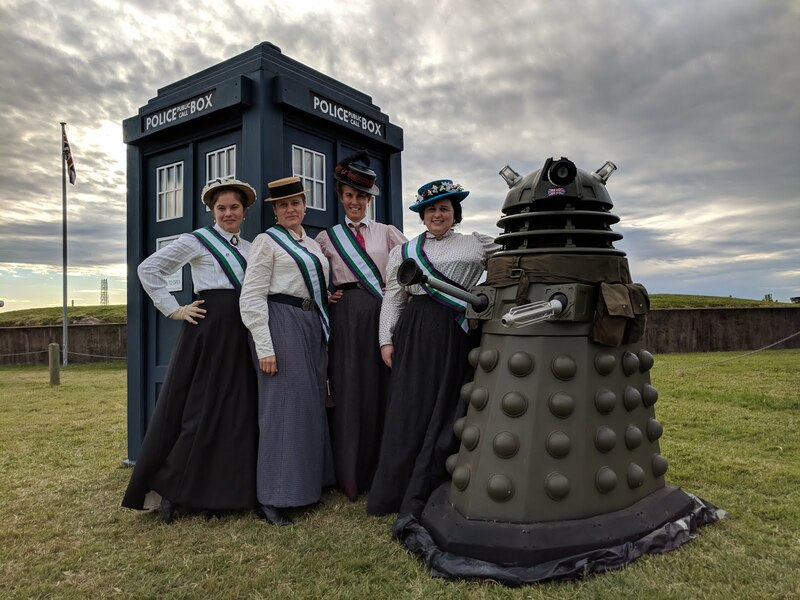 For the Sunday of History Alive, our group jumped forward about 90 years in time to the 1890s where we portrayed Queensland Suffragettes, marching and petitioning for the vote. 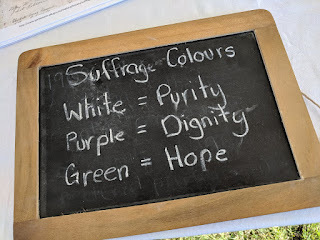 Our set up is an information stand with a petition. 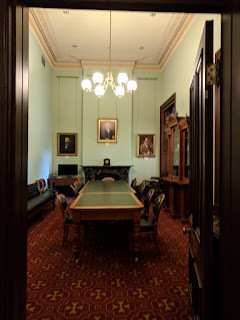 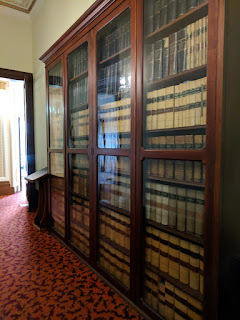 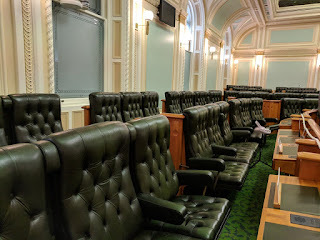 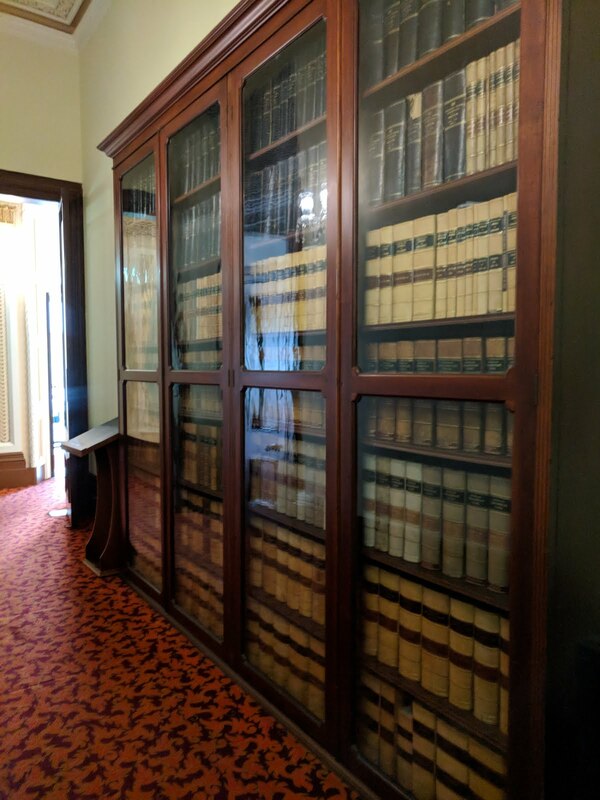 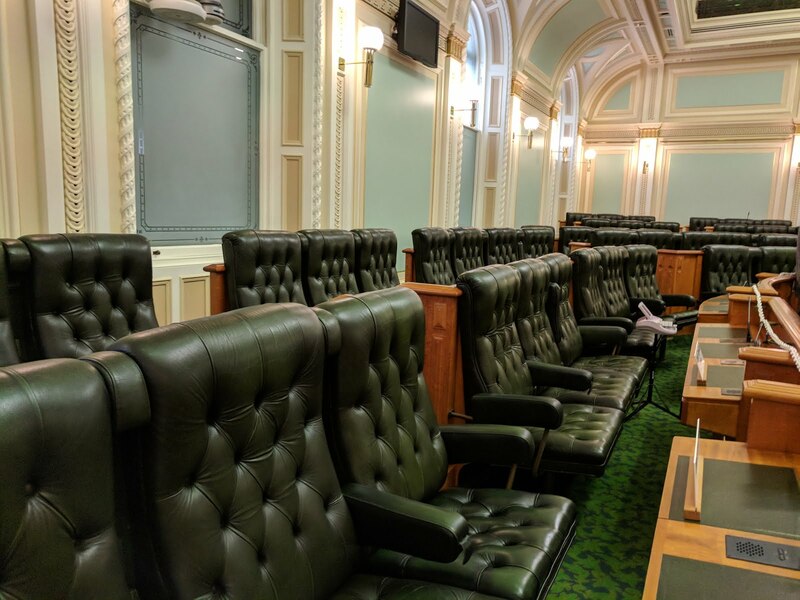 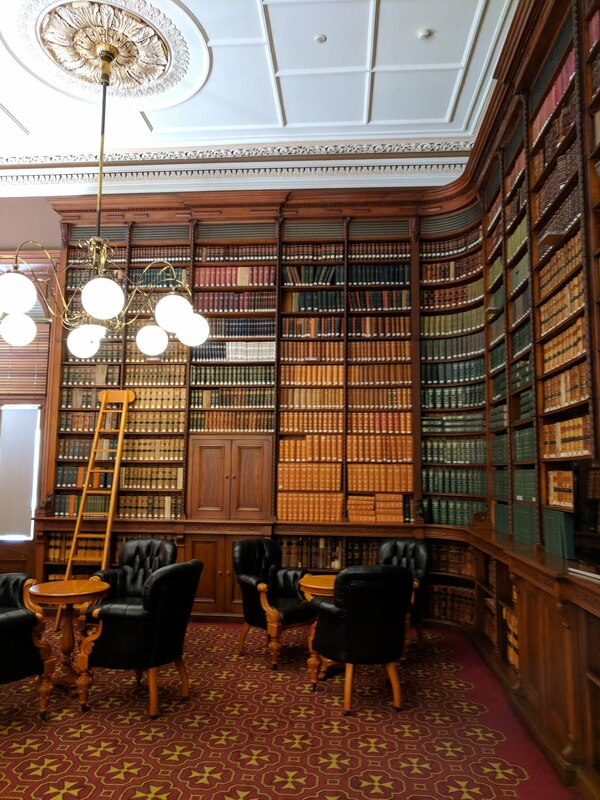 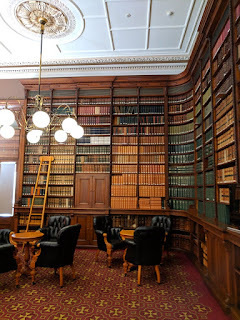 There were a number of petitions put forward to the Queensland Government in the 1890s, so I recreated one for members of the public to sign up and help us win the vote. 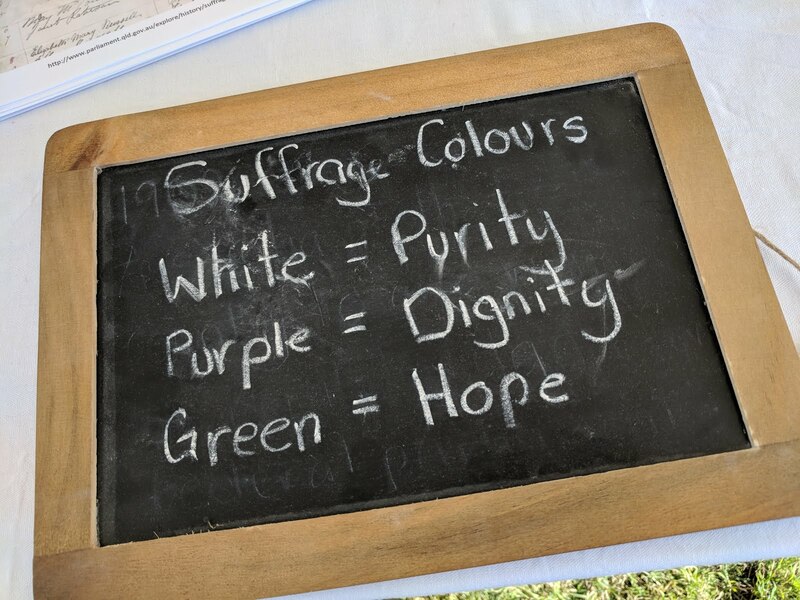 It was actually wonderful how many young children came up to say that they had been learning about Queensland Suffragettes in school. 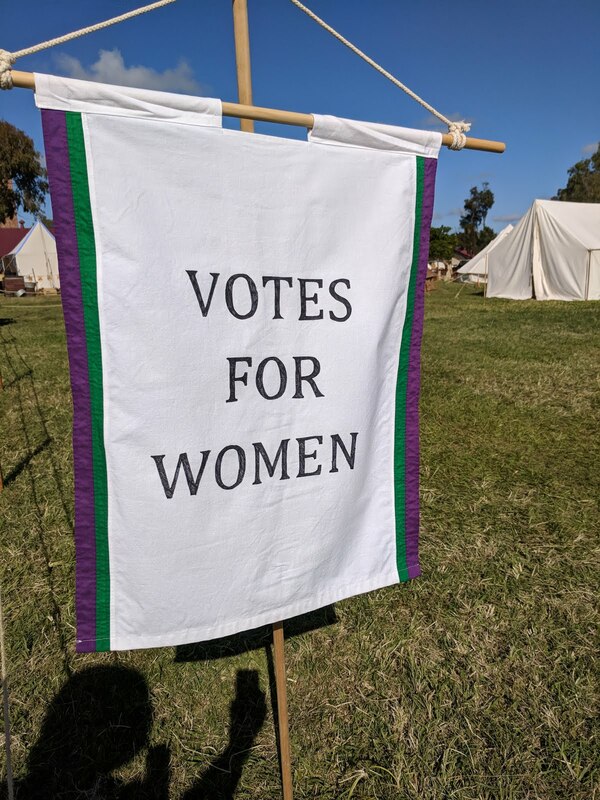 It’s not something that I ever learnt about in my schooling days so it’s quite marvellous that this piece of history has made it into our schooling system. 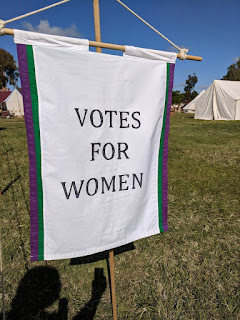 But this was the last year that we plan to do Suffragettes. 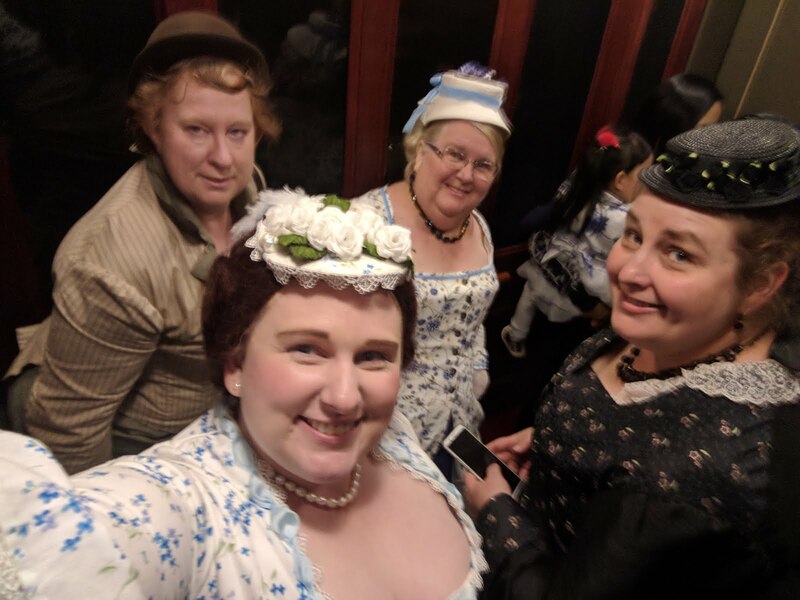 Thankfully the costumes were simple this year – I just had to open up my costume tubs and pull out my skirt, blouse and hat. Unfortunately I took along the wrong set of stays so it was quite a challenge to lace my waist down enough to fit the skirt. It’s amazing how a different shaped corset can make the difference in your costume fitting or not. I am looking forward to History Alive next year, I’m planning to convince the rest of my group to try out a new time period. 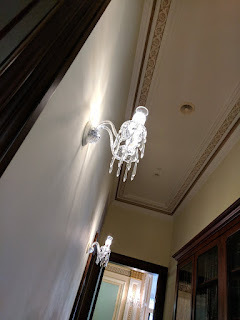 We have somewhat discussed it, but it is high time. It gets a bit stale doing the same thing year in and year out. 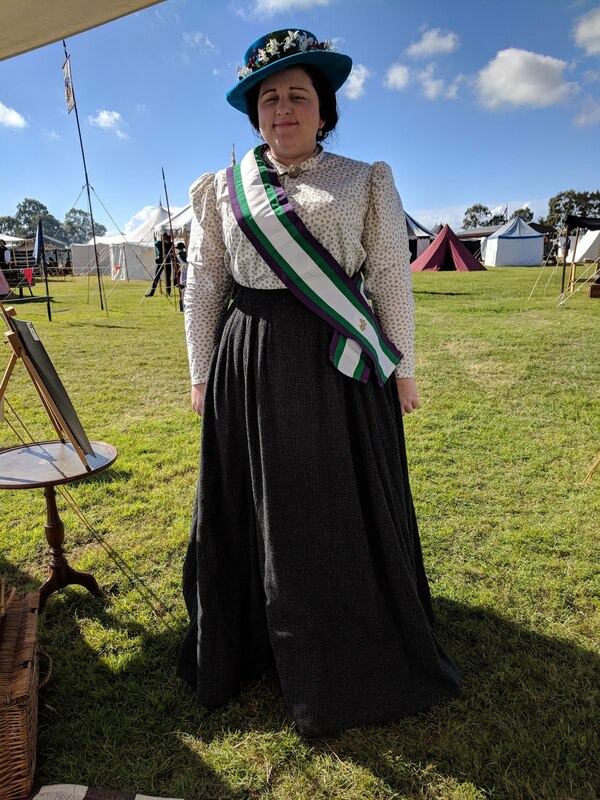 I enjoy the research part of re-enactment and tackling a new period gives us the opportunity to try new things and to make our display more interesting to the attending members of public.